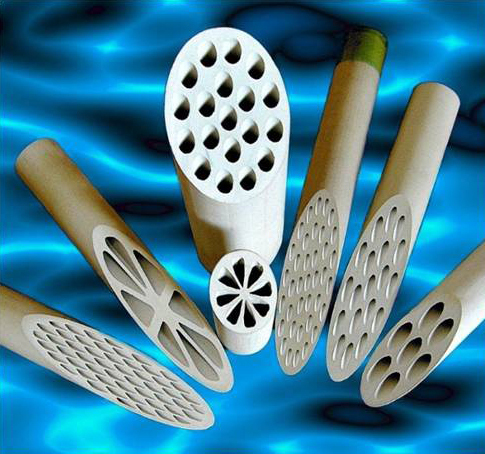 CTI offers its customers the widest range of membranes combining cut-offs ranging from nano to micro-filtration and conduits with hydraulic diameters between 2.2 and 6 mm. This wide range of membranes, linked to optimised module designs, enables our customers to develop efficient and sustainable filtration processes and equipment for many applications. Kleansep BE and BH that present design of optimized channels to ensure high compactness and high permeation flow rates. The concentration of emulsions for the mechanical or oil industries. The separation of macromolecules for applications in the chemical industry. The concentration of mineral dispersions for the paper and chemical industries. With a very long lifetime due to the intrinsic resistance of the materials used, our membranes are ideal for working in difficult, and even extreme conditions, aggressive chemical environments (concentrated acids or bases), the presence of solvents, various slurries (fermented sludges) thereby allowing specific cleaning processes such as steam or chemical sterilization to be used.